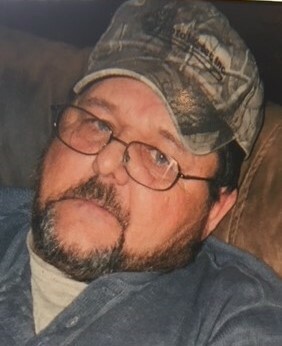 Age 60, of Wheelersburg, passed away Thursday, September 13, 2018 at his home. He was born March 25, 1958 in Lawrence County, OH to Burnal and Mary (Mosley) Aldridge. A 1976 graduate of Rock Hill High School, Joseph was a Laborer in the construction industry. In his free time he enjoyed hunting and fishing. He is survived by his wife, Melvery Lawson; three sons, Joe Aldridge of Franklin Furnace, Luke Aldridge of Ironton, and James Lawson of Franklin Furnace; two daughters, Candace Stiles and Johnda (Keith) Durham, both of South Webster; brother, Frank Aldridge of South Webster; sisters, Rebe Aldridge of Wheelersburg, Mary Woods of Ironton, Christine Taylor of Ironton, and Ilva Risner of South Webster; nine grandchildren; several nieces and nephews. In addition to his parents, he was preceded in death by brothers, John and Jeffrey Aldridge; sisters, Brenda Osborne, Diane Delong, and Helen Aldridge. Funeral services will be held at 1:00 p.m. on Saturday, September 15, 2018 at D.W. SWICK-NELSON FUNERAL HOME in South Webster with Pastor William George officiating. Interment will follow at Vernon Cemetery in Wheelersburg. Friends may call from 12 – 1:00 p.m. prior to the service at the funeral home. Online condolences may be made to www.DWSwickNelsonFuneralHome.com.